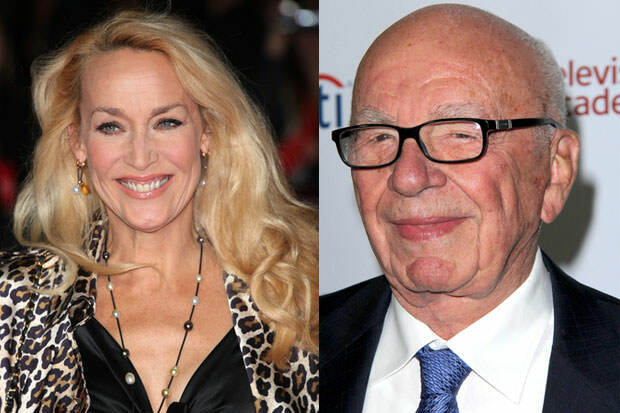 We have to admit that it’s a bit odd considering his age, but it looks like former supermodel and actress Jerry Hall has decided to tie the knot with media bigshot Rupert Murdoch, as they announced their engagement on Tuesday. The news graced the births, marriages and deaths section of the Times of London, which is owned by Murdoch’s media group News Corporation. Murdoch (84) and Hall (59) have been an item since the summer of 2015. They were introduced to each other by one of Murdoch’s sisters in Australia and went public with their relationship last October when they appeared together at the Rugby World Cup in London. The engagement itself happened during the weekend of the Golden Globes, which they both attended in Los Angeles. They’re very happy to start their new life together, according to a source. Congratulations!